Ideal size for large ladies and medium to extra large men's clothes. Brilliant all purpose top hanger for larger clothes. Thicker 2cm arm profile and wishbone design gives jackets, jumpers and coats added support. Durable, strong, smooth plastic with swivel polished metal hook. Size: Width 49cm (19.3") approx. 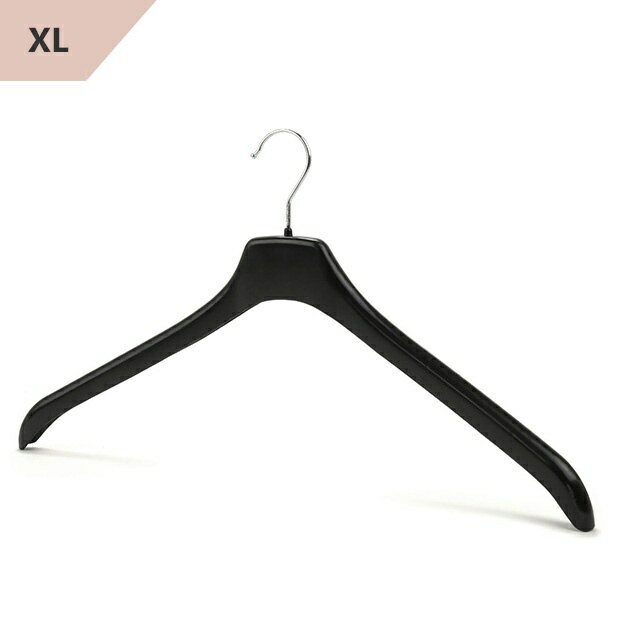 Brilliant hangers, no more "sticky up bits" on the shoulders of clothes. Great service, VERY quickly dispatched. I wanted to replace my existing (standard width) hangers for some of my tops which were developing 'pointie marks' on the shoulders. These wider hangers are perfect for protecting these tops. Price is very good which is a bonus.